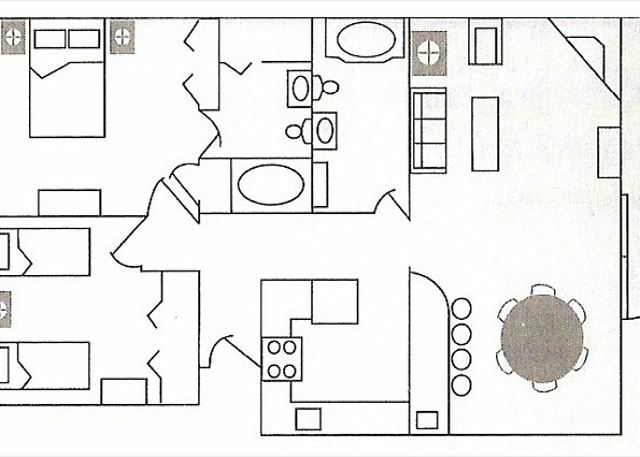 This is a second floor two bedroom condo in building 8. Free WI-FI. 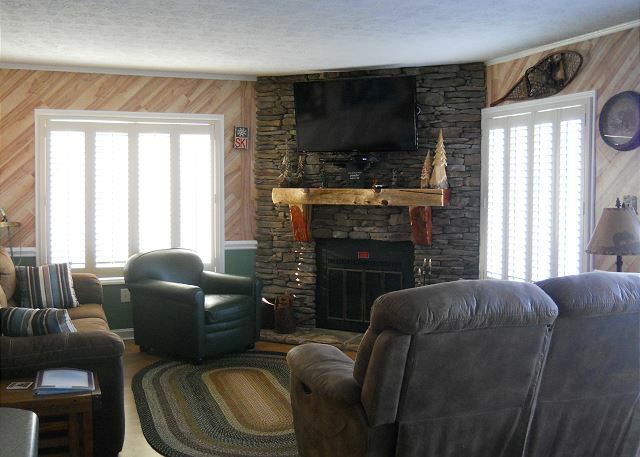 The living room offers a 48 inch TV queen sleeper sofa ceiling fan and a wood burning fireplace. The kitchen is fully equipped with many accessories. 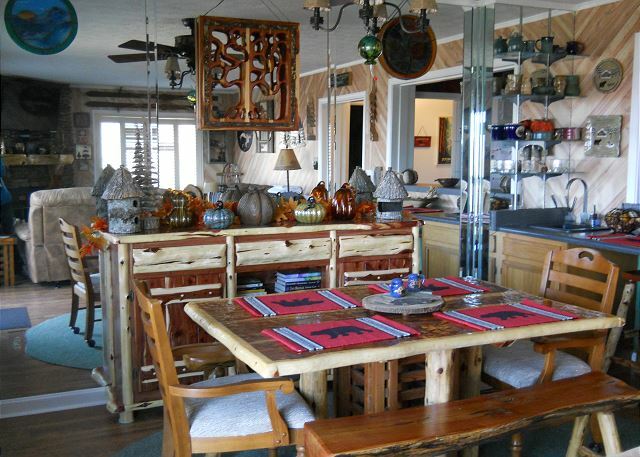 In the dining room there is seating for 6 at the dining table with additional seating at the bar. 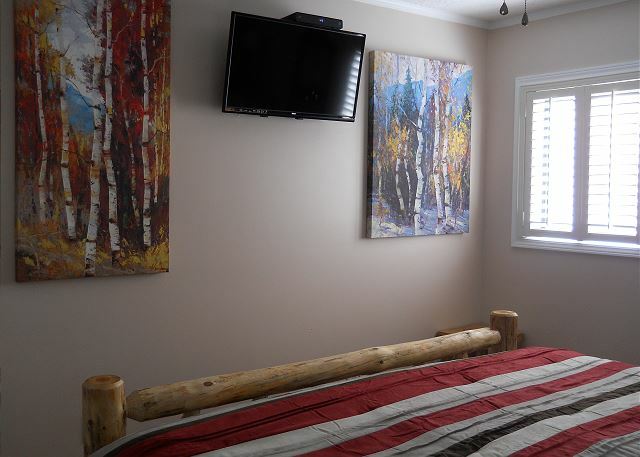 In the master bedroom there is a king size bed and a 32 inch TV with cable and a DVD player. In the guest bedroom there are two bunk beds with a Queen on the bottom and a Twin on top and a 32 inch TV with cable and a DVD player. Loved it here, BUT, you cannot be a beginning skier and ski out from this location. And unless you own equipment, you must still rent and return equipment down at the resort. Loved this though! The view alone was worth the 5-hour drive here. 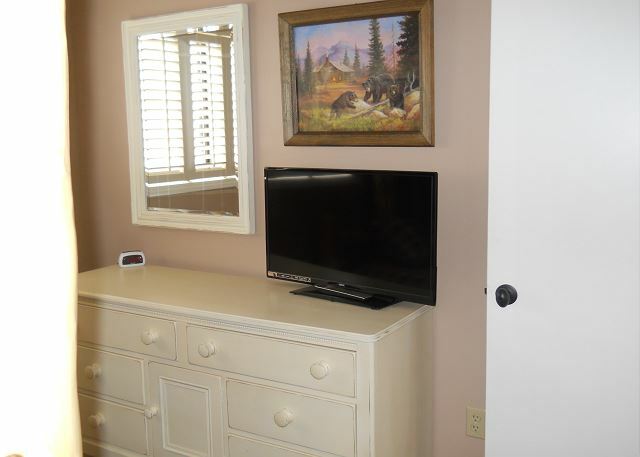 The condo is beautiful and well-maintained. It was supplied with everything that we needed. We did have an issue with the heating in the bedrooms but once we called maintenance he arrived in less than 5 minutes and it turned out to be a flipped switch in the fuse box, so it was an easy fix. Also, since the pool, sauna, and hot tub were unavailable due to the recent fire we were given a 15% discount on our stay. We are not avid skiers - this was our first time - but we will definitely return just to visit the area. 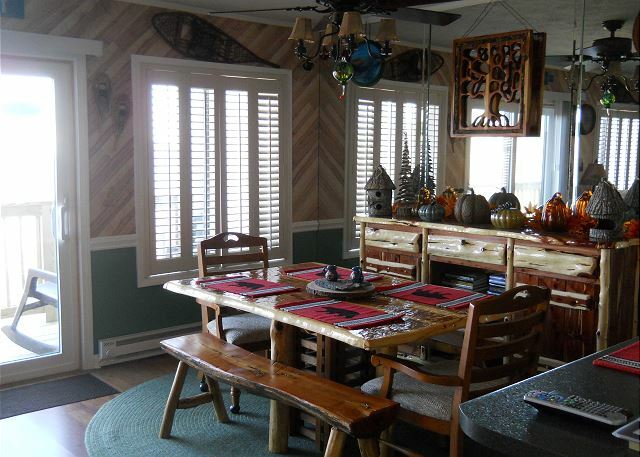 Beautiful appointed cabin with complete kitchen and very comfortable seating for 6 adults. Three adult siblings and one child stayed for three nights skiing/boarding two days. We had a wonderful time. 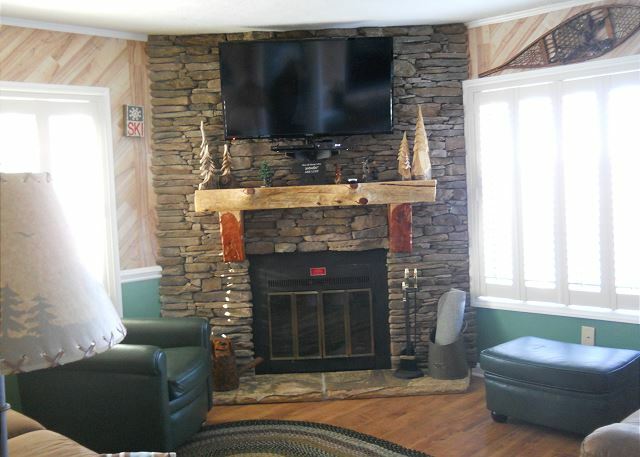 I was completely satisfied with our location, our condo conditions, and our service. We will be returning. Nice condo, great location, great trip!